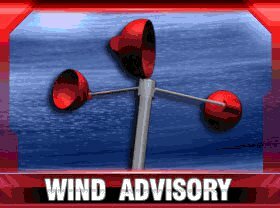 The National Weather Service has issued a Wind Advisory for Athens County, which is in effect from 10PM Tuesday, 2/12/19 to 10AM Wednesday, 2/13/19. · WINDS - Becoming sustained west 20 to 30 mph with gusts up to 40 mph at times. Period of locally stronger winds possible. · TIMING - Strong winds tonight and Wednesday morning. Peak of strongest winds from late evening through the overnight hours. · IMPACTS - Gusty winds will blow around unsecured objects. Tree limbs could be blown down and a few power outages may result. Weak or diseased trees could be blown down.